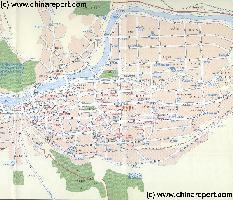 Geographic Maps on Lanzhou City and Area of South Gansu Province. 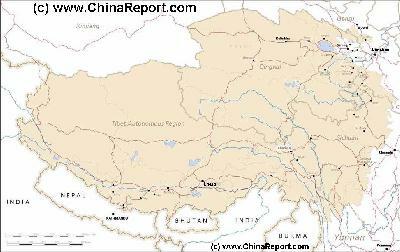 The Lanzhou City and Province Maps Index gives acces to all Maps relevant to Lanzhou City and City Prefecture and Area's of Specific Interest within that region. 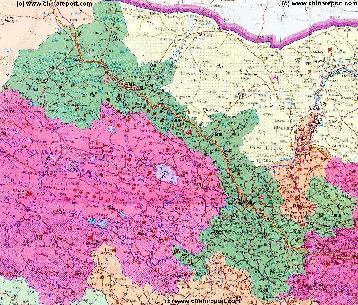 Please use these Maps to find your way easily around the City, Prefecture, Autonomous Minority Area's and many Monuments & Landmarks. 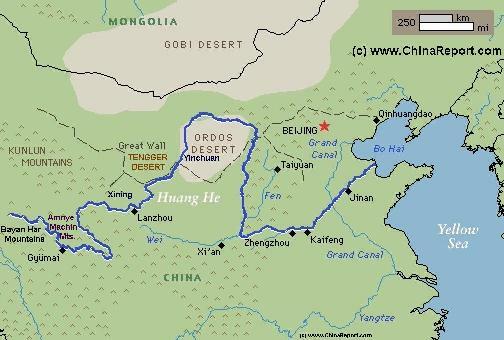 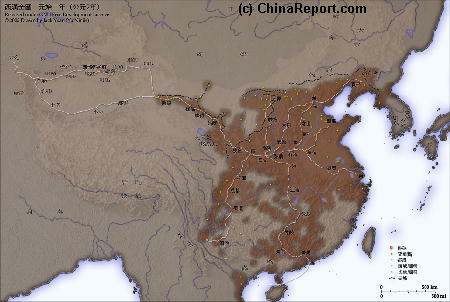 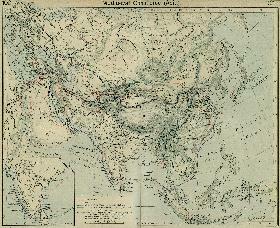 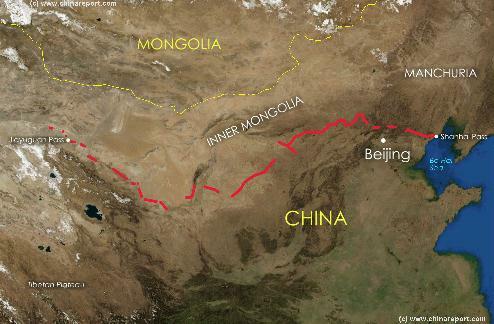 Geographic Maps of the Silk Road Path, The Great Wall of China and location of Passes, the Gobi Desert, and the Taklamakan Desert Area's in the Far West of Gansu Province. 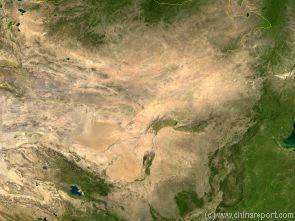 A Full Google Earth Supported Map of Gansu Province by AsiaReport.com. 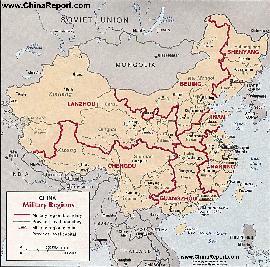 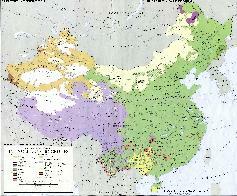 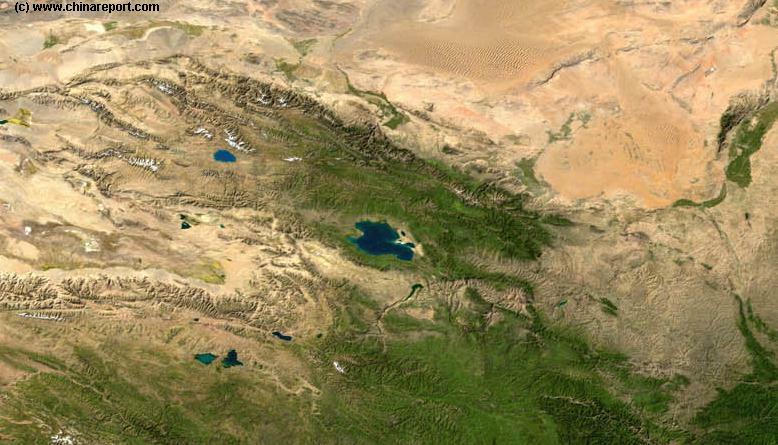 Adjacent Map gives direct access to Map Of Gansu Province. 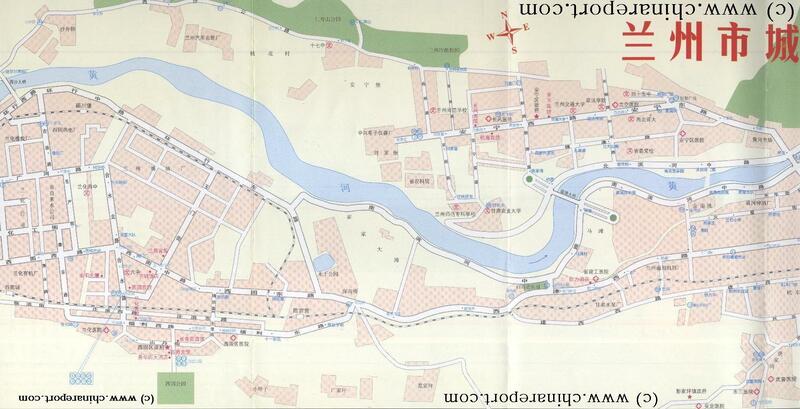 This Schematic overview Map shows the entire "Downtown" or Old City Section of Lanzhou, officially known as the Chengguan District. 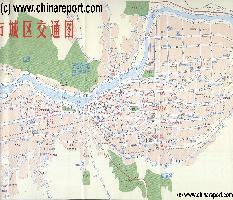 The Chengguan, as the original city of Lanzhou holds most of the historic remnants and although full of modern buildings and towering highrises, today is still the main cultural center of the City. 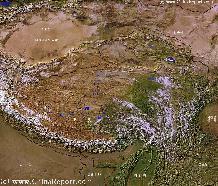 Browse the Map to explore the city and find your way to the Main landmarks, monuments and hotspots of this part of the City. 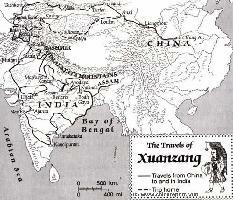 Click the locations and Link through to more Information and Photos on each location ! 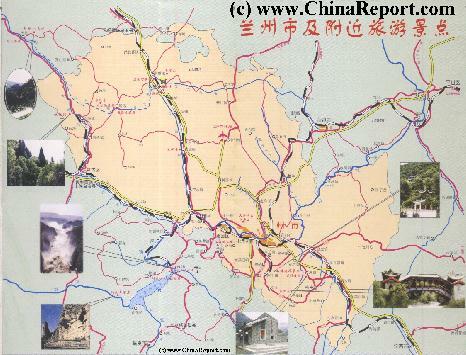 This Schematic overview Map shows the Anning and Xigu Districts of Lanzhou, located upstream from the Downtown Districts of Chengguan and Qilihe.